Hello and good morning! How was your sleep? Do you feel rested and rejuvenated? How much water did you drink when you woke up today? What you put into your body first thing in the morning is very important. 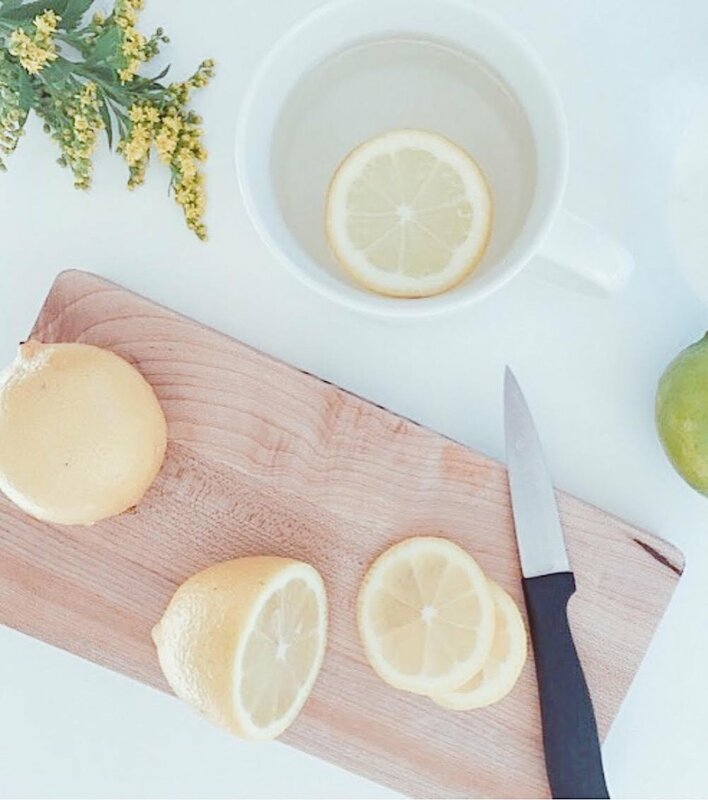 While you were sleeping last night, your body went into a natural state of detox. When you go to sleep, your body is at rest and is rebooting your system therefore what you put into your body first thing in the morning is incredibly important. Be gentle on your body upon waking up and hydrate all your cells before even getting out of bed by drinking 1 pint of water. This flushes your digestive system and rehydrates your entire body. After I drink a pint of water, I stretch a bit, do some gentle yoga, slide into my fuzzy slippers, make my bed, and head into the kitchen. As I enter the kitchen, I fill up my tea kettle with water. Once warmed, I squeeze half of an organic lemon into my mug. Some days I will add a teaspoon of coconut oil or add a sprinkle of cayenne pepper. Other days I will add some ginger root and some days I drink the warm lemon water by itself.